In 1987, Cloninger proposed a bio-social model of personality based on four temperamental dimensions exhibited early in life and related to specific neurotransmission systems, such as dopamine, serotonin and norepinephrine. The temperamental dimensions include: search of novelty (NS), harm avoidance (HA), reward dependence (RD) and persistence (P). Three other character dimensions, founded on an information synthesis of social, cognitive and personality development according to humanistic and transpersonal model, complete this dimensions. Cloninger model is set up as a complex dynamic system in which the biological elements are combined with family, social, and cultural influences. 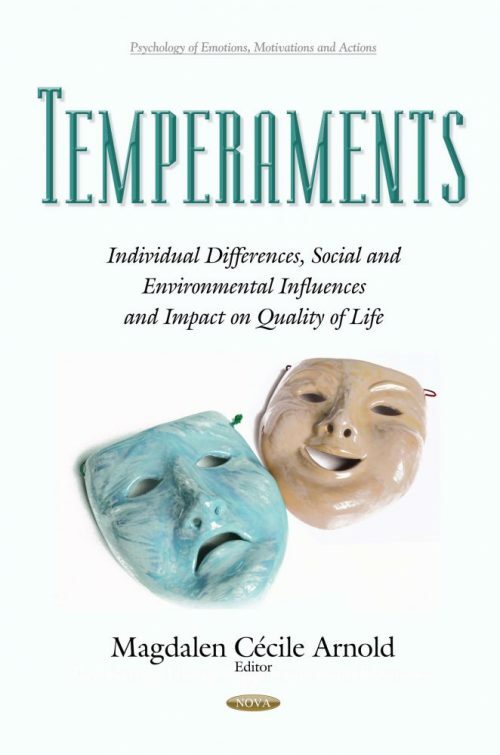 According to Cloninger, temperament refers to ‘the patterns of individual automatic lifelong emotional response,’ while character refers to the ‘self-concept and individual differences in objectives and values, influencing voluntary election, the intentions and the sense of what is experienced in life.’ This book discusses individual differences, social and environmental influences and impact on quality of life of temperaments.